As any voracious reader knows, there are so many books out there, it can be hard to choose just what to read next. So what could be better than a hand-picked recommendation from someone in the know? Every Wednesday the XOXOAD team likes to find out what some of its favorite authors are reading. 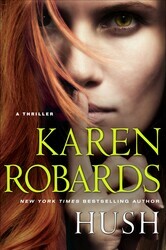 This week, we’ve asked New York Times bestselling author Karen Robards what she recommends. And while you’re picking up her favorite reads, don’t forget to add Karen’s latest heart-pounding thriller, Hush, to your to-read stack. I just finished reading The Target, by David Baldacci. This is the third book in the series that includes The Innocent and The Hit, and I’ve really enjoyed all three of them. The main character, Will Robie, is a stone-cold assassin with just enough heart left to make him interesting. One of my favorite series by this excellent author. 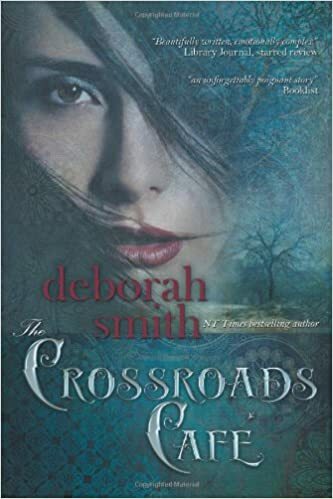 Right now I’m in the middle of The Crossroads Cafe by Deborah Smith. The heroine, Cathy, is a young and beautiful movie star who is hideously scarred in an accident, and the hero, Thomas, is a widower who lost his family on 9/11. They fall in love and heal each other against a Southern-fried background that includes a cell-phone eating goat and a lot of homemade biscuits. This is the first book I’ve read by this author, but it won’t be the last. I’m liking it a lot. 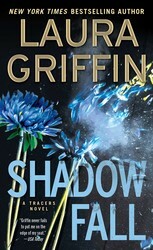 Next up on my to-be-read pile is Shadow Fall by Laura Griffin. I love the way the author writes romantic suspense, and I’m really looking forward to this ninth book in the Tracers series. Together, Robie and Reel's talents as assassins are unmatched. But there are some in power who don't trust the pair. They doubt their willingness to follow orders. When the president assigns them a mission impossible, there are those who will do anything to see that the two assassins succeed, but that they do not survive. In the ninth romantic suspense novel in the New York Times bestselling Tracers series, author Laura Griffin brings back her elite cadre of forensic experts as they hunt down the most brutal serial killer yet. After being severely scarred in a car accident, Hollywood actress Cathryn flees to hide from the world in her secluded North Carolina cabin. But instead of a life away from the world, Cathryn meets Thomas, and together they find a whole new life to live for. The Crosswords Cafe sounds good, and Baldacci always manages to get me caught up in the action.